As you can tell from our last update on the website it has been awhile since VSPR has done a posting. The Fall of 2014 Mike the director of VSPR had to take a break due to health and to focus on his college class work. We do have a team page on Facebook that is updated often each month. You can click here VSPR FACEBOOK to LIKE the page so you can follow and see any new updates on our research. The past year the VSPR team has had changes with loosing and adding new members. You will see on our team page the new members who have joined. 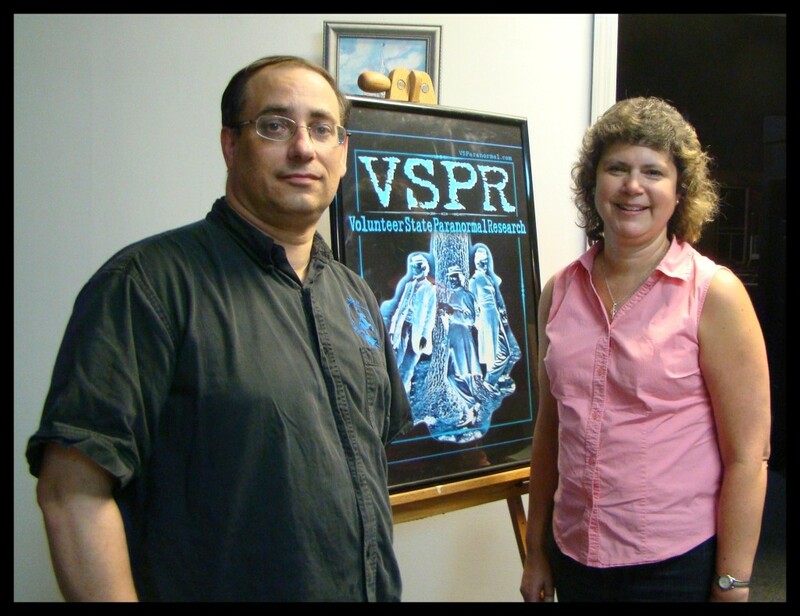 Beth Lunceford who has been the lead investigator with VSPR for several years; is now the Co-director of the VSPR team. This decision was made in the month of May 2015. Beth has proven to be a great researcher,leader and has been doing some great ITC research with the use of the Echovox App. 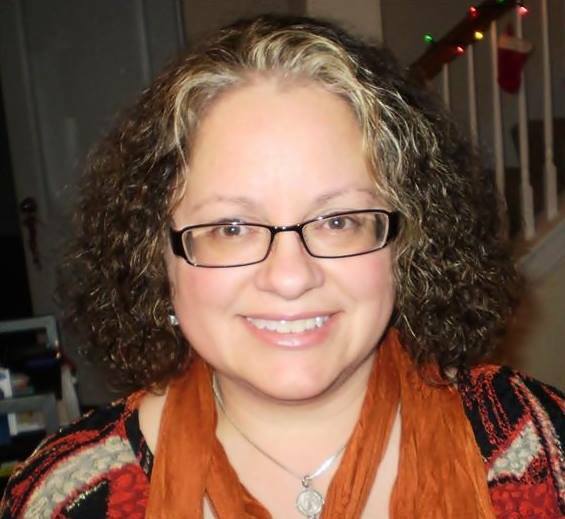 Beth has been sharing her research on her personal website and Facebook page Music City Ghost. During 2015 Beth and the VSPR team has been doing extensive amount of research using the various ITC apps created by Daniel Roberge . Since the last website posting in 2014. 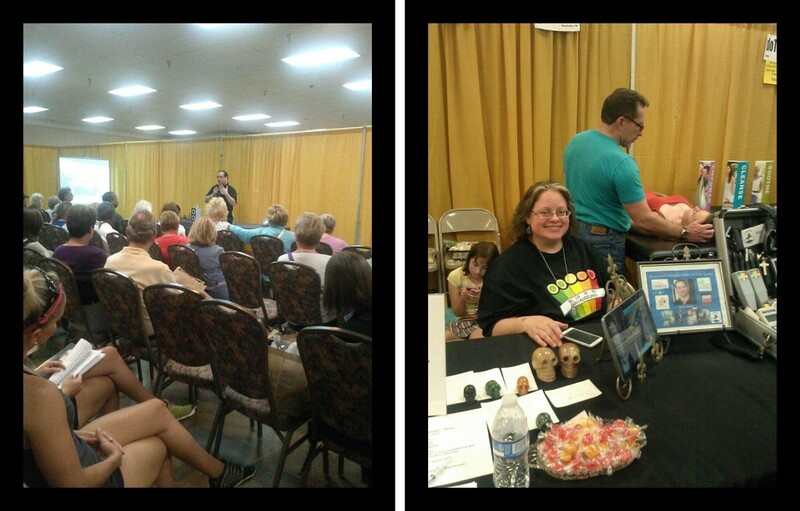 VSPR did a public event at the Columbia Center of the Arts in Sept 2014. A nice turn out from the public. Many thanks to Susan Manning for having Mike guest speak and the VSPR team helping with the event. We also like to thank all those who were able to attend the event. 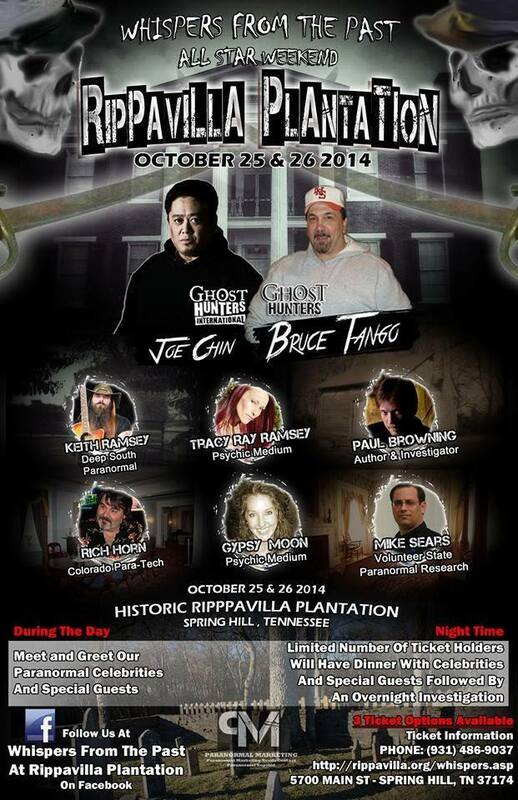 October 2014 Mike was suppose to guest speak at the Rippavilla Whispers From the Past Paranormal event and the VSPR team was to have a booth there. Due to Mike’s health at the time we had to cancel attending the event. Hopefully in the future Rippavilla will have another event that VSPR can be there. December 2014 a paranormal magazine from the United Kingdom called ” Chat is Fate” did a story about the extreme haunting Mike and his mother lived with in Florida. They were featured in the January 2015 issue that came out in Dec 2014. Photo from the magazine article. During the month of May, VSPR returned at the Galactic Expo for the 5th year. VSPR was set up at the Luminearth booth. This year was the first time that Mike guest spoke at the Galactic expo.. Many thanks to Luminearth for having us back and the Galactic Expo for having Mike guest speak at the event. Looking forward to be back for the 2016 expo. Mike guest speaking and Beth meet and greeting with the public at the LuminEarth booth. During the month of June the VSPR team returned to Octagon Hall in Franklin, Kentucky. The VSPR team did a joint investigation with Spectral Forces. Was a great learning experience for the VSPR team working with another team. Spectral forces did a great experiment with the use of balloons. We also had Mary Jennings sing some period songs in the house to hopefully create some activity with the spirits if the house. Below are some photos from the investigation at Octagon Hall. During the year 2015 VSPR returned to Columbia High School for further research several times during the year. We had some great interaction with the equipment and some great personal experiences during the investigation. You can see some of the data on our Facebook page and the Music City Ghost Facebook page. We are planning to return in the New Year of 2016 for further research and data collecting. Many thanks to Garland Brown and the Columbia School for allowing us to find answers and to research at the school. VSPR with Spectral Forces and Columbia Faculity/Alumni. Month of October Mike did several guest speaking’s for the Halloween season. A big honor was the Tennessee State Archives who asked Mike to guest speak at the Nashville Metro Library. Many thanks to Ken Fieth from Tennessee State Archives for putting it together. 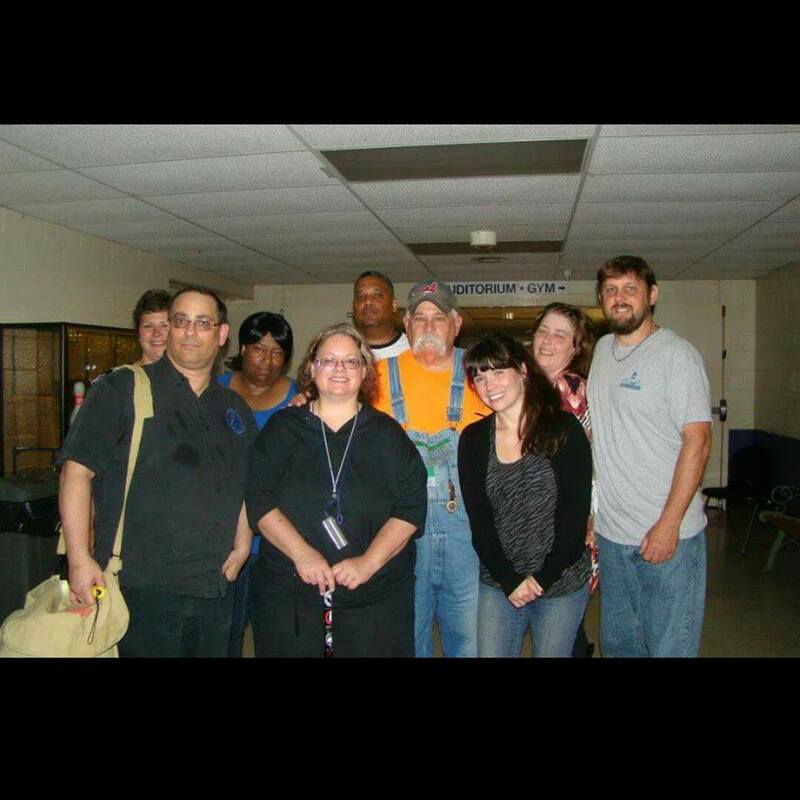 Mike did a lecture on paranormal activities that the VSPR team and he personally experienced in the middle Tennessee area. The Nashville Public Television channel 3 recorded the lecture and you can watch it on Youtube. During the months of November and December 2015 the VSPR team conducted team meetings and reviewed data from our past investigations. The month of December we had our team Christmas meeting with an investigation on Dec 4th. We conducted some great ITC sessions using the Echovox. You can see some of the videos of the data we captured on Beth’s Music City Ghost Facebook page from the VSPR Christmas meeting. Many thanks to all of our followers. We are looking forward to 2016 . Wishing Everyone a Happy and Safe 2016!! Glad to see these updates! VSPR does great work – can’t wait to see more!